Cycle Chic®: Who's Talking Now? People are biking - and talking - all over town. Especially during the morning and evening commute there is an endless chatter. I admire those who can deftly plunk down their fingers and get the numbers they need while cycling. 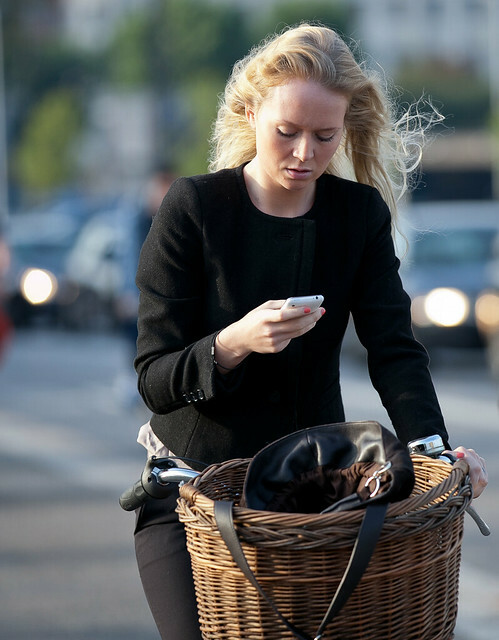 I can't even answer my phone while biking because the Ministry requires that I tap a secure code before answering. 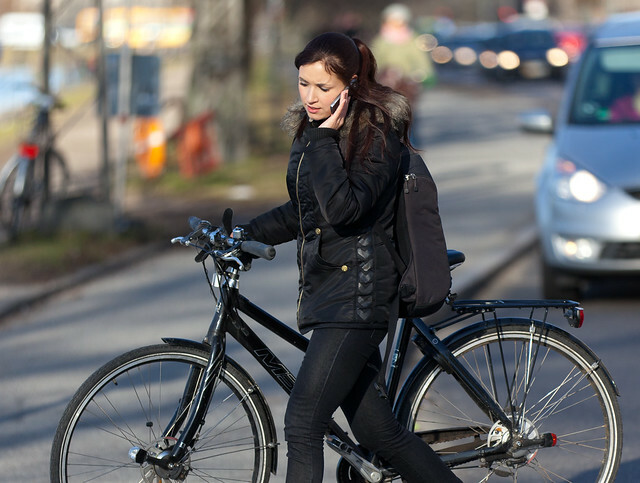 Actually, the law requires people to use a headset and many do, but most cyclists answer their phone on the fly when there's a call. My unscientific non-validated statistic suggests that especially girls like to get things done during their commute. But that still leaves room for lots of men talking. True to traffic regulation some people actually stop to talk. Or maybe they are just finger-to-touch-screen challenged like me? 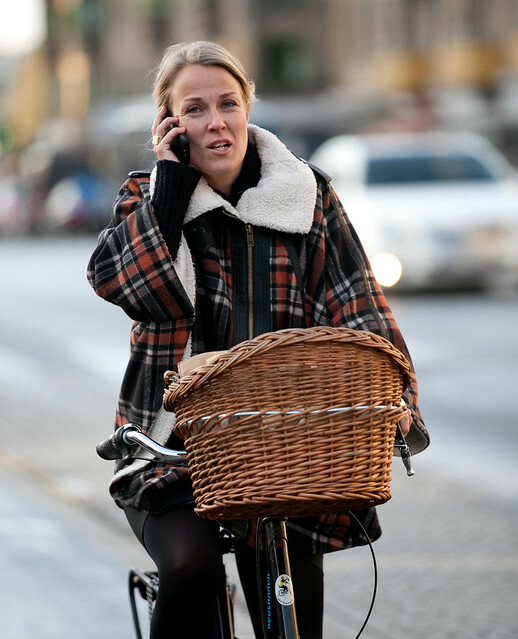 Never quite understood why some people get really hung up about cyclist using phones. 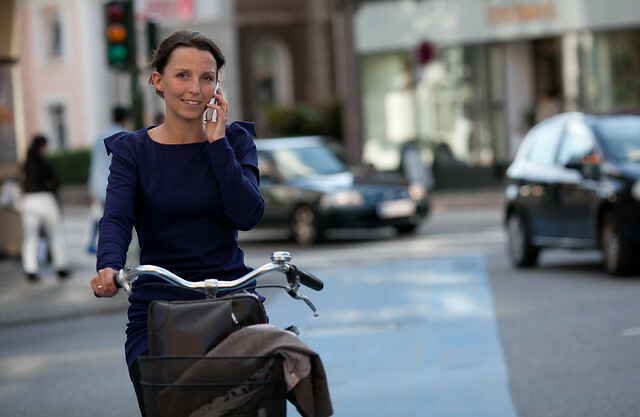 From experience you can ride faster than 20 Km/h (max) and make a call at the same time. At that speed you are very unlikely to cause harm to others. It is not like driving a car at 60 Km/h and using a phone, where there is a very really risk of causing harm to others! No but they could damage/hurt themselves ,if they are hit by a car ,because they did't pay attention -but of course lets blame the car drivers for that ,thats the normal attitude from cyclists. I tried to answer the phone the other day while pedaling and nearly ran into a fence. So humiliating. . .